The 1976 Corvette Stingray model was part of the third generation of the Chevrolet C3 lineup, and the last model year for the second generation of Chevrolet Corvette Stingrays. 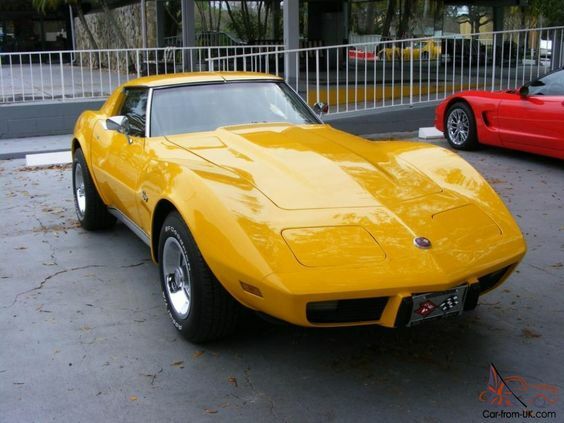 Chevrolet made 44,568 1976 Corvette Stingrays carrying serial numbers 1Z37*6S400001 to 1Z37*6S446558. At the time, this was the most cars of that model that the company had ever sold in a single year, and it far surpassed sales numbers of 35,655 from the previous year. If you are thinking about buying a 1976 Corvette Stingray, learn about this model’s history and features along with the support that you can expect to receive. 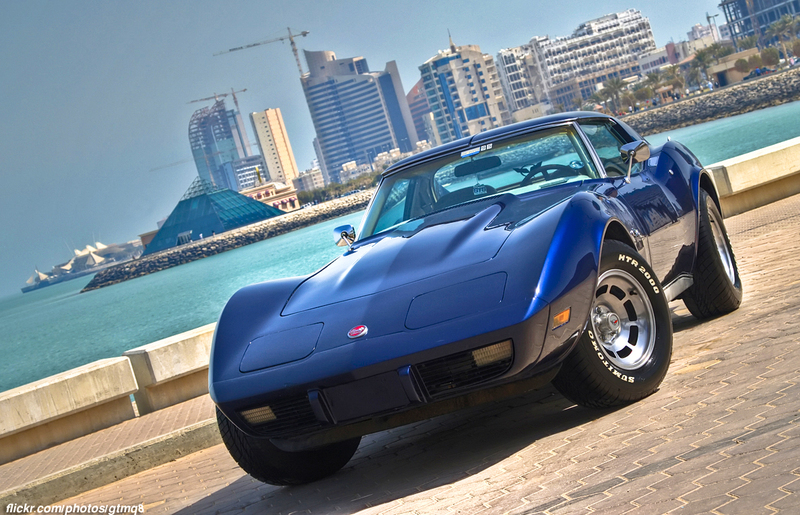 The 1976 Corvette Stingray is part of Chevrolet’s C3 lineup that were originally based on a car design created by Larry Shinoda outlining the company’s MaKo Shark II model. They were billed as America’s only true production sports cars. The bottom half of the car was based on the Marko II, but it had softer contours, and the company took steps to make the interior quieter. This was the first year that steel floor panels were used shielding passengers from the heat of the catalytic convertor while reducing interior noise levels. It was also the first year for a new air cleaner that was ducted over the radiator further reducing interior noise by stopping turbulence at the base of the windshield. Vents on the rear windows were deleted and the company modified the hood design decreasing cabin noise even further. The 1976 Corvette Stingray also got a new steering wheel which was a carry-over from the Chevrolet Vega. While they were designed to provide more interior space along with extra room getting in and out of the vehicle, drivers did not like this change. They did like the change, however, to the optional Electro-Clear defogger with its in-glass heated elements on the back window. The 1976 Corvette Stingray came in five different models, although all were two-door coupes. The basic model had a 350 cubic inch (5.7 liter) small block V8 engine delivering 180 horsepower. The wheelbase measures 98 inches although the overall car measures 185.2 inches. Chevrolet claims this car can go from zero to 60 in 8.5 seconds with a top speed of 108 miles per hour. This model features a wide-range four speed manual transmission with a floor-mounted gear shifter. These Stingrays achieved 17.2 miles per gallon while the poser was directed to the rear wheels. They also featured independent front and rear suspensions. Like all 1976 Corvette Stingrays, the Hydra-Matic was a two-door fastback coupe. Unlike the base model, this model features a three-gear automatic transmission causing the car to be lighter. It still had the same Rochester M4MC 4-barrel 350 small block V8 engine. The Hydra-Matic has 180 horsepower with 270 pounds per foot torque. Despite having the same dimensions, this model is able to reach a top speed of 116 miles per hour. It achieves slightly better gas mileage at 15.2 miles per gallon. This was the most popular option for the 1976 Corvette Stingray with 36,625 being sold. 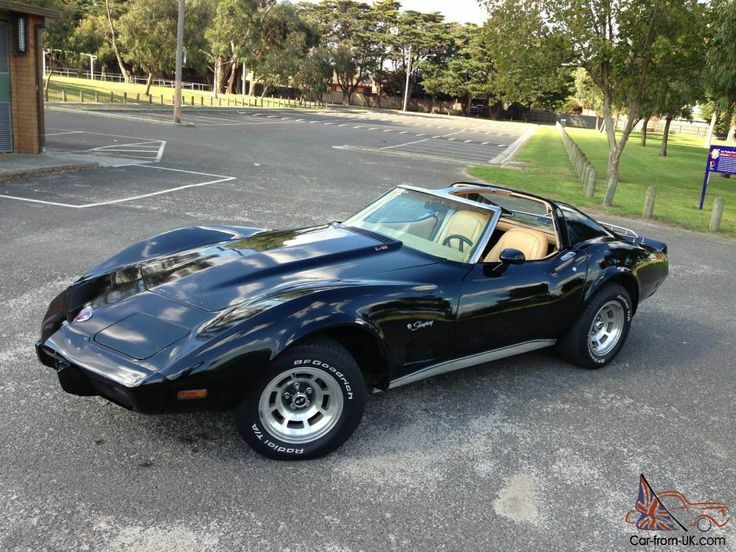 Buyers can also find the 1976 Corvette Stingray V8 Special. While this model still has the small-block V8 model, the torque convertor was updated. Unlike the previous two models, this four-speed manual transmission vehicle has 210 horsepower. This model delivers 255 pounds per foot torque compared to 270 pounds per foot torque in the Hydra-Matic. This rear-wheel drive vehicle can achieve top speeds of 130 miles per hour, and it can go from zero to 60 miles per hour in 7.8 seconds. This car maintains the same overall dimensions, but it is 1.2 seconds faster on the quarter mile. Chevrolet made 2,088 1976 Corvette Stingray V8 4-Speed Close vehicles. These cars have the M21 four-speed close transmission which was the closest ratio every put into a production car. They are especially designed to keep the car at full power with no drops in revolutions-per-minute when shifting, making them a better choice for road racing. This model Corvette had the L82 small-block engine that is able to deliver up to 210 horsepower while offering 255 pounds per foot torque. Stingrays with this setup are able to achieve 130 miles per hour, and they are able to go from zero to 60 in 8.5 seconds. Buyers also have the option of the V8 Special Hydra-Matic. This vehicle has a 9.0:1 compression ratio compared to the other automatic where the ratio is set to 8.5:1. This model is capable of delivering 255 pounds of torque per foot. It can achieve speeds up to 134 miles per hour, and it can go from zero to 60 in 8.7 seconds. While keeping the same dimensions of all 1976 Corvette Stingrays, it can achieve 14.6 miles per gallon, so still do not expect to pass a gas station compared to today’s modern standards. Numerous aftermarket manufacturers make it easy to find parts for the 1976 Corvette Stingray. In addition, most states have one or more Corvette Club that are anxious to meet new members. The largest Corvette organizations in the United States are the Corvette Club of America and the National Corvette Owners Association. There are also many international Corvette organizations that are loosely tied together under the International Council of Corvette Clubs. There are many modifications that can be done on the 1976 Stingray. These include: shock absorbers, electric fans, sway bars, sticky tires, side pipes, exhaust systems, brakes, headers, side pipes, and coils. There are many online websites that offer upgrades and high performance parts for the 1976 Corvette. One of our favorites is Corvette Central. The 1976 classic model is sure to remain popular for many years to come. Stylistically, it was the best looking of the C3s to date. And while the changes to the interior were minor, the exterior ones were significant from an aesthetics standpoint. Got a 1976 Corvette Stingray of your own? Tell us all about it!